Think you might be an abolitionist? You’re not alone! You are part of a movement that stands on the shoulders of revolutionaries throughout history; people who have given their blood, sweat, and tears in the struggle for a day where we do not rely on the violence of the prison industrial complex to solve our problems. Abolition is not only our end goal, but our process for getting there. 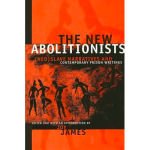 We invite you to engage with any of these videos, articles, and books to build upon your understanding of abolition. Contrary to what many prison reform efforts assert, our criminal punishment system is not broken, it works exactly as it is intended to. Our role is not to paint the bricks in rainbow colors, but to work at whittling away at the walls until we crash them down.